many natural disaster like flashflood, muslide, landslide and typhoon related disaster are caused by massive destruction of rainforest and unlawful tree cuttings by illegal loggers. and it also contribute to abnormal weather condition like global warming that our earth experiencing right now. Commonwealth high School batch 1997 alumni organization decided to contribute on our own way to protect and give back to our nature by holding a tree planting activity last august 18, 2011 at the Ipo watershed, Ipo dam, Norzagagaray, Bulacan with the help of National Youth Commision and Department of Environment and natural Resources. 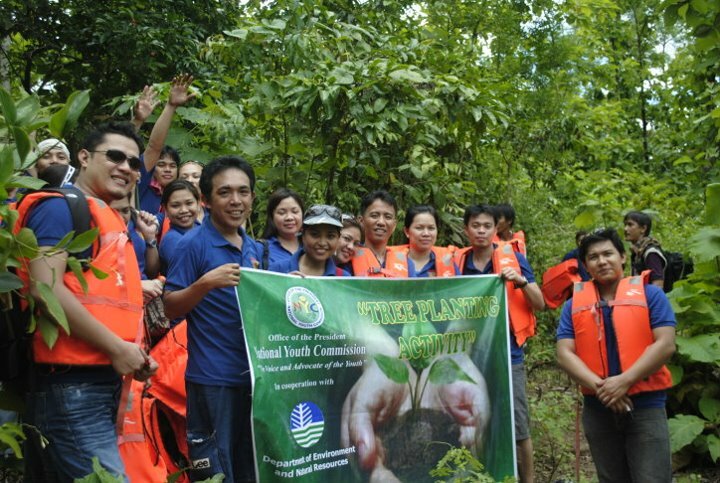 Participants are from CHS batch 97 organization members and friends, NYC Employees, DENR and The Philippine Army. 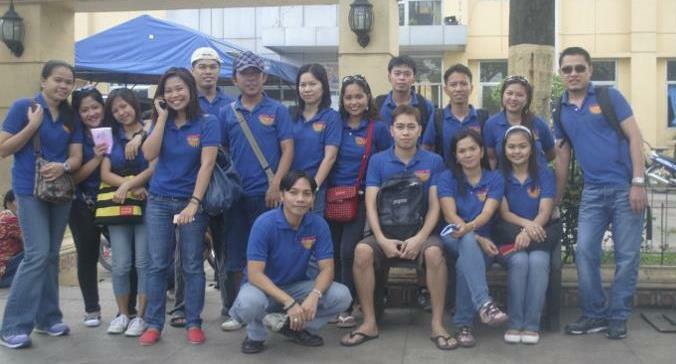 The participants gathered from 6 am to 7 am at the Commonwelath Park at Brgy. Commonwealth, Quezon City while waiting for our Bus to arrived courtesy of Metropolitan Manila Development Authority(MMDA). The Bus arrive shortly and as everyone boarded, the bus leave for the site of the activity. We arrive at the Ipo Dam at around 9 am and meet by our guides from DENR and prepared ourselves for a boat ride and mountain trekking to reach the tree planting site. Equip with a life jacket at around 10 am we boarded rented banca to ferry us to the location of the start of the trek. after 5 minutes boat ride and after we gather all our things including 500 Narra seedlings, we begin our 30 minutes trek to the tree planting location. Due to nonstop rain the day before the trek was not easy as we climb muddy and slippery mountain side. after 30 minutes we arrive at the site finding participants from DENR and The Philippine Army waiting while they prepared the hole that we will plant the seedlings. after nearly three hours of Tree Planting and picture takings and after eating our lunch we began our journey back home by a mountain trek, a bout ride and a bus ride with a smile on our face. 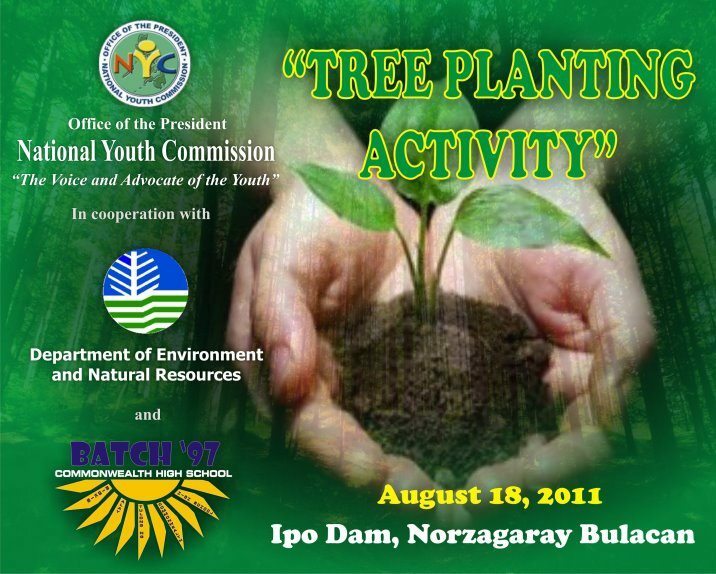 Every school should conduct tree planting activities at least once a year - both highschool and college level. Students should also do their part towards alleviation of global warming and climate change.